Welcome to the Hotel Medsur-Alone! 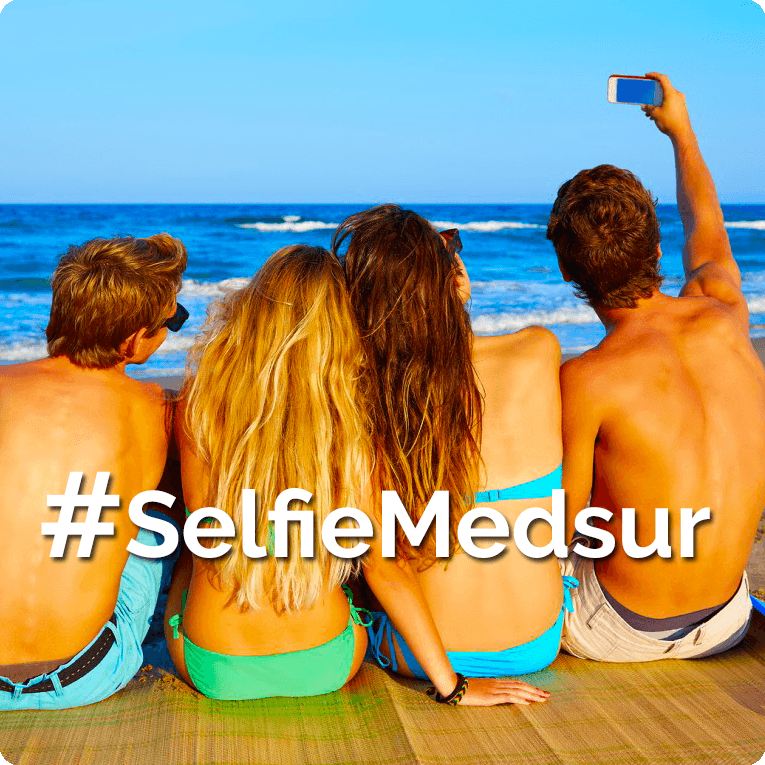 TheHotel Medsur-Alone, is situated at just 5 minutes walk form the beach at Cala de Finestrat. It is connected with the Poniente Beach,Benidorm Centre and the Levante Beach via local buses, which run every 20 minutes, or by taxi which both stop at the main door of the hotel. Hotel Alone is a great option for enjoying a peaceful holiday in Benidorm, without the hustle and bustle of staying in the center. The beach at Finestrat Cala is fine sand and there is a relaxing atmosphere where you will find shops, bars, restaurants y cafés. Don’t miss the sunset from one of the many terraces. If you like shopping, we are 15 minutes walking distance from “La Marina Shopping Centre”, where you can find a range of textile brands in the shopping area plus cinemas, bowls, children´s play areas and places to eat. You will find the largest offer for leisure time in the Valencian Community, like Terra Mítica, Aqualandia, Mundomar, Terra Natura, and a long list of other attractions. If you are going to spend several days with us, we recommend a visit to some of the pretty local villages likeAltea, Guadalest, Villajoyosa, natural spots such as The Fountains of L’Algar, and many more options. Our reception staff will be pleased to inform you and assist you with whatever you need. Music has always been a fundamental part of life in Benidorm, not only because of the famous and memorable “Song Festival” or for its discotheques and pubs, but now also because there are lots of important festivals and concerts which take place in Benidorm during the year: The Low Cost Festival, The Iberia Festival, the Salsa Congress and a long list of others. If you prefer, you can chill out peacefully at the hotel enjoying our swimming pool, where the water slide, is the main attraction for the younger members of the family as well as the rest. Our staff in the café will make sure you are well attended, and the entertainment crew will not allow you to get bored at any time. 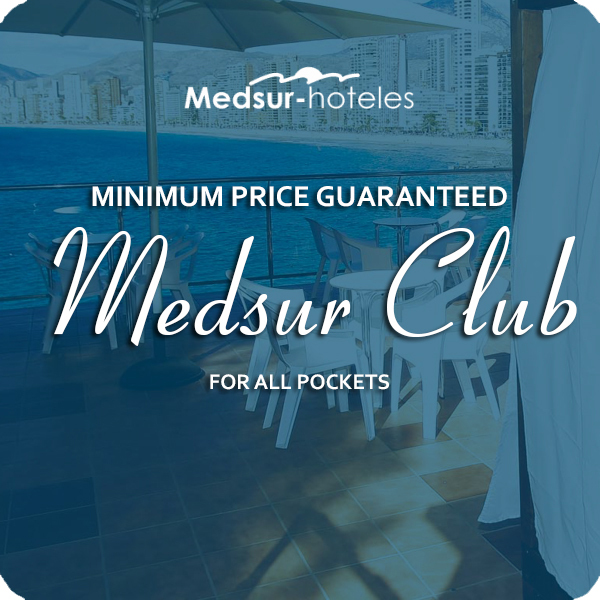 Hotel Medsur-Alone and Benidorm are an ideal destination to enjoy the sun and the beach with your family, and also our famous offer of both daytime and evening leisure, or why not, a relaxing escape with friends or a partner. Recently reformed, the Hotel Medsur-Alone, has spacious, exterior rooms with terraces. They are fitted with two beds of 1,35 m., a full bathroom with a good sized shower dish and glass surround, complimentary articles, heating and air-conditioning, flat screen T.V. and telephone. Hotel Alone is easily accessible and provides adapted rooms at no extra charge. To be certain of the availability of such rooms it is best to reserve them in advance. Do you want a special price for your vacation? 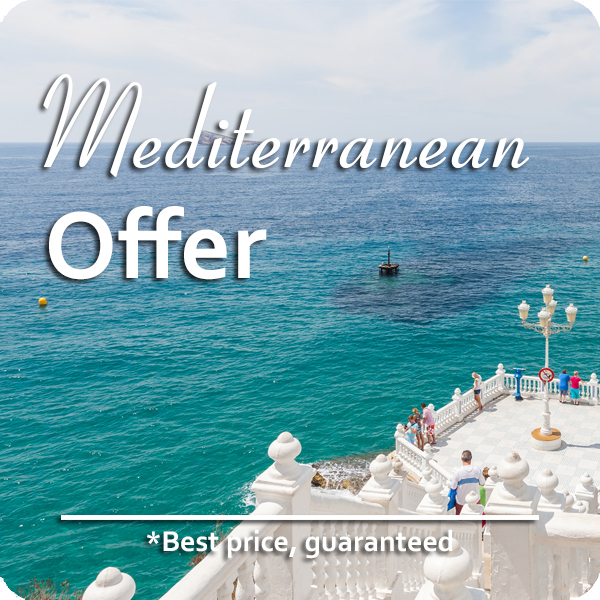 Select our “Mediterranean Offer” and enjoy your stay in one of our 3 stars hotels in the White Coast. Are you hungry? Do you fancy a coffee, or maybe a refreshment? 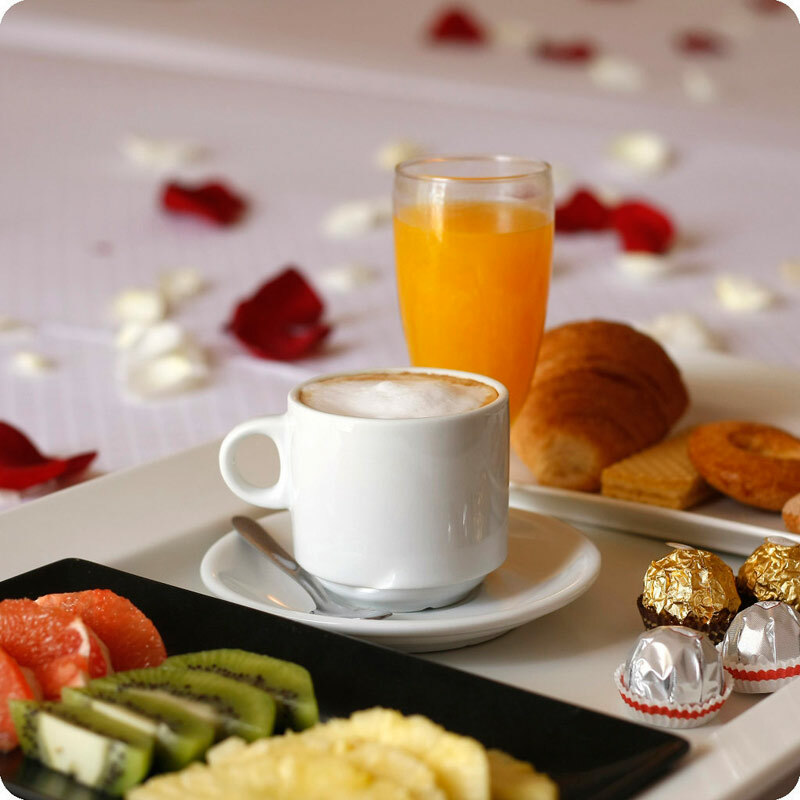 We know how important it is to start the day with a good breakfast, enjoy a tasty lunch or have an appetizer. We make an effort every day so that everybody can always find something they like in the restaurant. We introduce local products and recipes for you to get to know the gastronomic culture of the area. We offer a wide list of drinks and enjoyable cocktails in our café. Don’t forget to ask for our special offers and contests. Take your own photo with us, share it onInstagram o Twitter and enjoy special offers and discounts in the café. Health is very important, so if you are a Celiac or have a food allergy, of any sort, don’t doubt in letting us know. Comment it on your reservation or tell us at reception when you arrive. The person in charge will contact you in order to prepare the menu for your stay. We also have the information referring to the allergic content of our menus. If you have made your reservation as Half Board, you can decide if you prefer lunch or your evening meal, just specify it in the reservation or comment it to our staff at reception. We want you to get to know us, that is why, if you wish to have lunch or your evening meal in another of our hotels in Benidorm, Hotel Tropic Relax or Hotel Lido, you only need to let us know in reception the day before. As the hotels Alone and Tropic Relax are adjacent, if you wish, you can use the services of café, swimming pool and entertainment of both Hotel Alone and Hotel Tropic Relax. We would like you to have fun with us, so our entertainment team has a complete program of activities organized for all ages: Sport Competitions, Acuatic Activities, Games, Contests, Dances…activities in family groups and with friends. We will help you to forget about stress with our yoga, gym, relaxation or laughter therapy classes. We are grateful to you for putting something as important, as your holidays in our hands. Our staff in the reception department is at your disposition 24/7 to help you, answer any questions and solve any doubts. Our aim is to help you enjoy your stay 100%. Allow us to advise you. If you need ataxi or a rented car don’t be afraid to ask us. We can arrange it. We know that parking in Benidorm, especially in the summer months, can sometimes be complicated, so, Hotel Alone together with Hotel Tropic Relax, has various areas for free parking but with limited spaces. e cannot reserve places. Ask about availability when you arrive.. If you decide to spend a whole day out, but you are paying for Full Board, you can tell us the day before (no later than 20.00 hrs.) and we can prepare a “picnic” for you to take along. As we know you like to be in contact with others, we provide Wi-fi service free of charge in all the hotel. We want to talk to you. Follow us on Facebook, Twitter e Instagram. To get to the Hotel Alone by road is very easy, as the exit 65B from the AP7 motorway is just around 3 kilometers away. If you prefer to travel by bus, you can catch a local bus at the bus station which will drop you 200 meters away from the hotel. With regard to the train, Renfe have a station in Alicante which has had a service with AVE (the fast train) from Madrid for the last few years. From there you can decide whether to continue the journey by bus, FEVE (local track railway connecting Alicante with Denia) or more comfortably by taxi. Lastly, from theAltet Airport you can catch a bus which connects with the bus station in Benidorm, a transfer which you should reserve beforehand, or if you prefer, a taxi which has a rank at the Arrivals and Departure sections of the airport.